GPFD H&H invited Chaplin Steve Calvert to teach his spouse class “In For The Long Haul” to our GPFD Wives & Fiancées. GPFD H&H helped 3 families from the two alarm fire at the Serrano Creek Apartment fire with cash, & gift cards. Hearts & Hoses helped this family from the 300 block of W. Grenoble Dr. with cash and gift card. Hearts & Hoses assisted the displaced family from the fire on Ave. C with temporary housing, clothing, personal items and other needs. 11/5/2016 House fire on 4th street. GPFD H&H helped the family with hotel for a few nights, clothing, furniture, house goods, cash & gift card. 7/2016 House fire on Dorothy. GPFD H&H helped the family with gift cards, cash & clothing. 2/14/16 Fire on SW 16th. Cash, gift card, and food donated to family. Single apartment fire on Westchester. GPFD Hearts & Hoses donated linens, clothes, cash, and a gift cards to the Coleman Family. 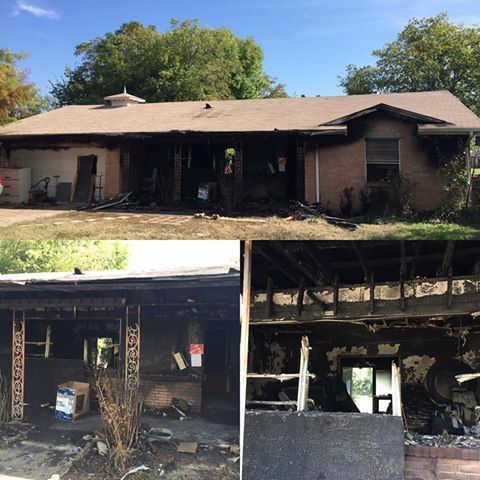 10/23/15 house fire on Channing. GPFD Hearts & Hoses donated linens, clothes, cash, and a gift cards to the Molina Family. 10/16/15 house fire on Ellis. GPFD Hearts & Hoses donated clothing, shoes, cash, and a gift cards to the Altom Family. 7/7/15 GPFD arranged for a family to get donated; washer, dryer, tables & chairs. A generous GPFD FF Snow hooked the washer up for the family. 6/14/15 house fire on Christopher street. GPFD Hearts & Hoses donated clothing, toys, bedding, cash, and a gift cards to the Torres Family. As well as 1,000 sq ft of heavy plastic to cover a few pieces of salvageable furniture before it began to rain. Assisted a resident of the Wright Sr. Apartments clean, and move out of her apartment that had recently been damaged by a fire. 1/30/15 house fire on Skyline Rd. GPFD Hearts & Hoses donated clothing, cash, and a gift card to the father and son. 1/02/15 house fire at Gregory Ln. GPFD Hearts & Hoses donated donated cash, and a gift card to the family. 12/29/14 W. Coral Way GPFD H&H donated cash, gift card, clothes, small personal items to the family. 12/08/14 Balla Way. GPFD H&H coordinated getting the house boarded up after the fire. 11/12/14 Fairways Apt, Hwy 360. GPFD donated cash, gift card, jackets & clothes to the Ray Johnson Family. 11/08/14 Strong Pky. Garza Family. GPFD H&H donated cash, gift card, & clothes to the family. 09/16/14 Blanca Gonzales Family. 500 Block of Royal. Family was given, gift card, clothes, furniture, and household items from GPFD H&H. 8/1/14 Kathryn Dr.- Family was given a gift card, cash, and clothing from GPFD H&H. 08/14/14 Aberdean Trl. Martinez Family was given cash, gift card, and clothes by GPFD H&H. 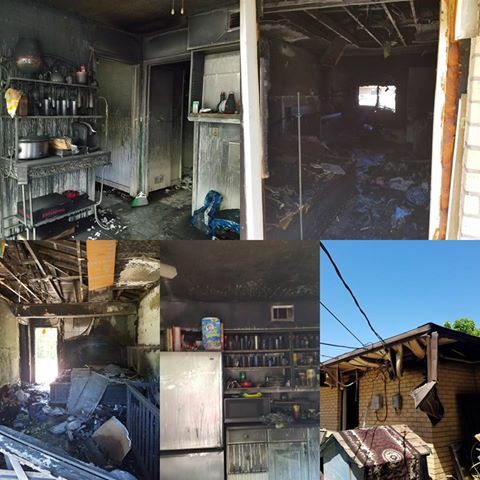 A fire that broke out around 8 am Thursday morning destroyed a family of four’s home in the 1100 block of Shawnee. Crystal Parker, daughter of the homeowner, said her twin thirteen year-old siblings were at home waiting for their dad to carry them to school when they smelled smoke. Parker said her brother discovered the fire in a storage area. He tried to put it out with a fire extinguisher, but was unable to control the fire. After calling 911, the two went to a neighbor’s home. Assistant Fire Chief Bill Murphy said no one was injured in the fire that destroyed the interior of the house. He said the cause of the fire is under investigation. Chief Murphy said due to today’s high winds, fire crews would be standing-by the structure for several hours to make sure the fire does not rekindle. Hearts and Hoses is assisting the family with some of their immediate needs. 01/30/14 Clarice St. Cash, and gift card were given to the family. 12/09/13 Miller Family Wahoo Trce. Cash and gift cards donated from community and H&H. Clothes, diapers, and small personal items were also donated. Click here to view the news broadcast. “I spoke with you earlier today regarding my sister and her family. I just wanted to tell you thank you from the bottom of my heart. I went over there today and those boys had so much to tell me. They were so happy because they got jackets, beanies and back packs. They were so happy to show off things that we take for granted everyday. You are a blessing to that family and I really appreciate it.